Redding boasts some of the most premier outdoor opportunities of any city that I have ever been to. There is so much to do and see in every direction. 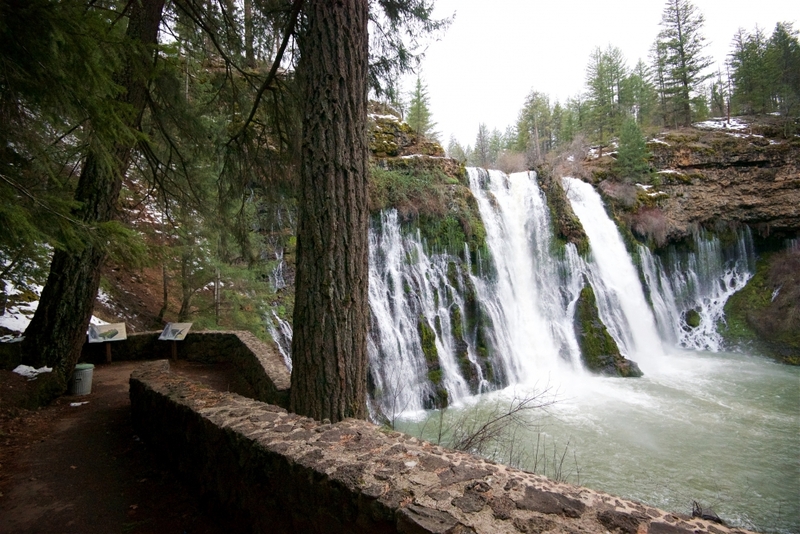 One of my favorite day trips in the area is a waterfall tour visiting Lion Slide Falls (aka Hatchet Creek), Burney Falls, and the three McCloud River Falls (Middle pictured above). It makes for a fun day with friends or family and takes you through some of the most iconic landscapes and vistas in UpState California and lets you return back to your hotel to rest up for another day of adventure. Click here to see Places to Stay in Redding. Bring a camera to snap a few shots, but before heading to the next spot take a few minutes to enjoy the beauty before you. Look at the intricacies of each of the falls, and the landscape around it. Listen to the sounds of the water, and the birds singing. The smells of Northern California coniferous forests surrounding you. People travel all over the world hoping to encounter something as beautiful as what you will see at every stop on this incredible trip. For the full loop Google Directions and map, scroll to the bottom of the page. 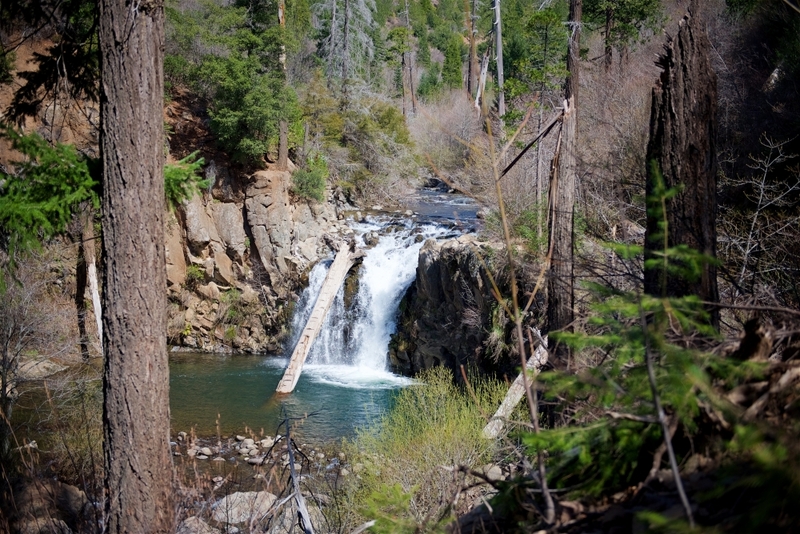 From Redding, it is about a 45-minute drive to the first stop, Lion Slide Falls. Hit CA Highway 299-E toward Burney. In about 40 miles you’ll get to a road called Big Bend. Take a left and drive about 1.5 miles until you see the pull off for the falls on the right side of the road just before the bridge over Hatchet Creek. 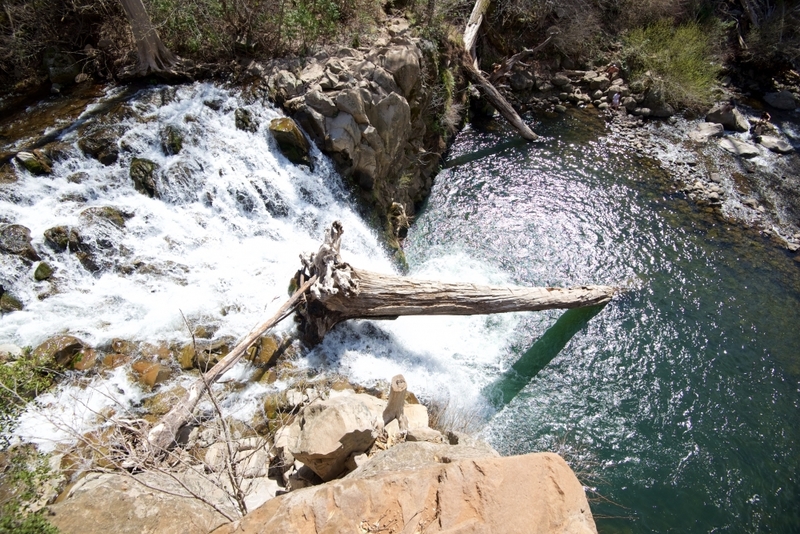 The hike up to the falls is short, with moderate difficulty, and is worth the stop. 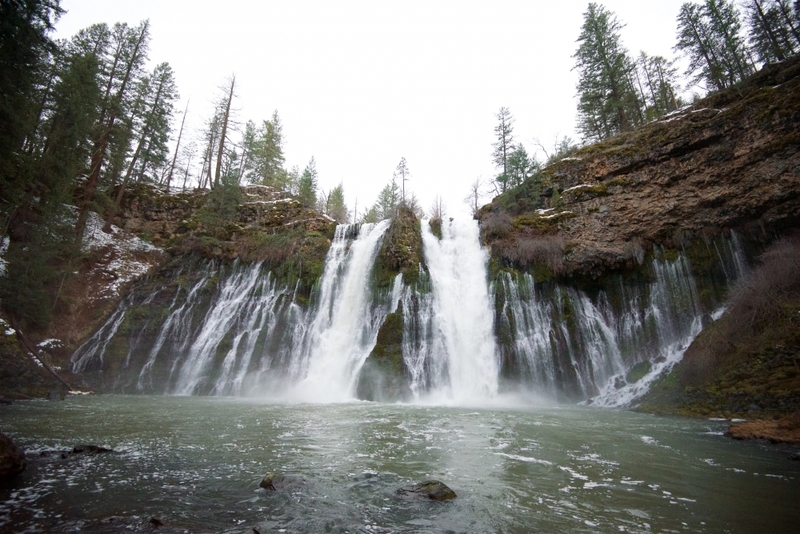 The next stop is Burney Falls. 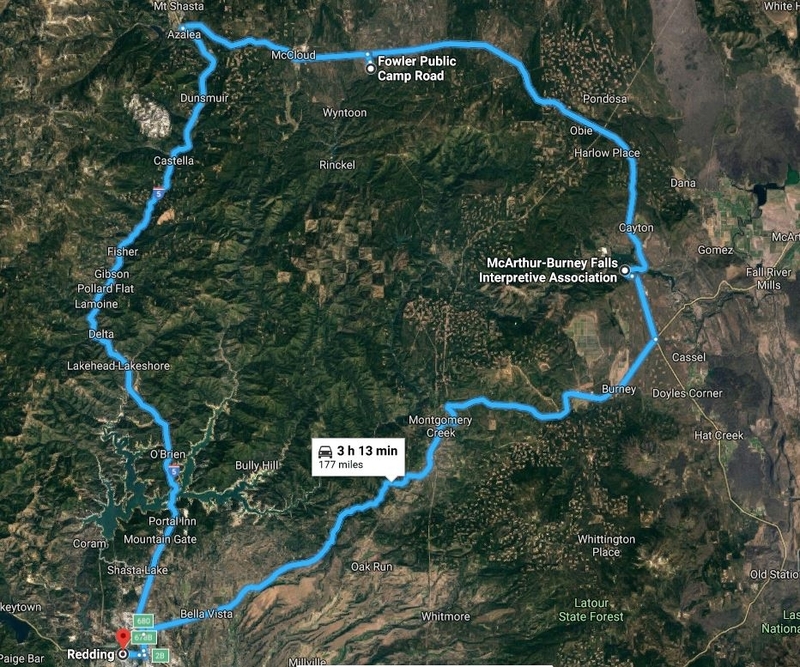 Get back on to CA Highway 299-E and head toward Burney. Drive till you get to Highway 89, also known as Volcanic Legacy Scenic Byway, and take a left to head north. 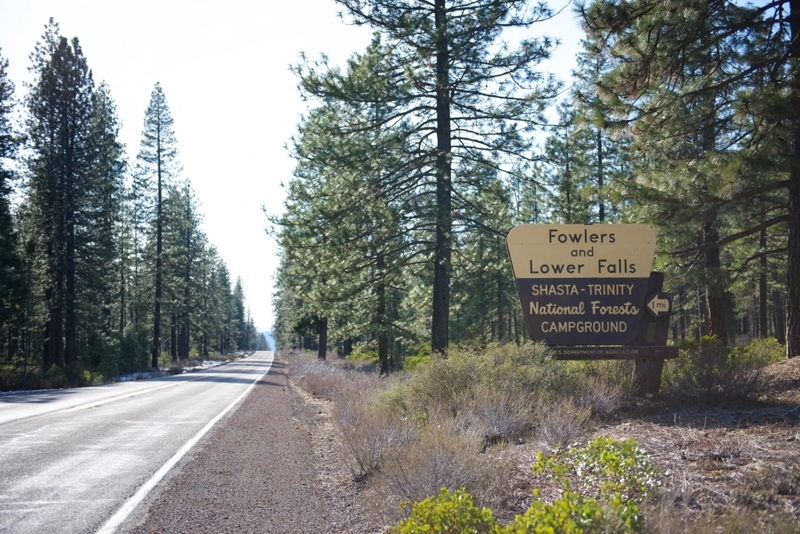 A few miles down 89 and you will see the entrance to McArthur-Burney Falls Memorial State Park on the left. There is a small day fee ($8) to use the park, but again it is worth it as it is incredibly scenic and unique! 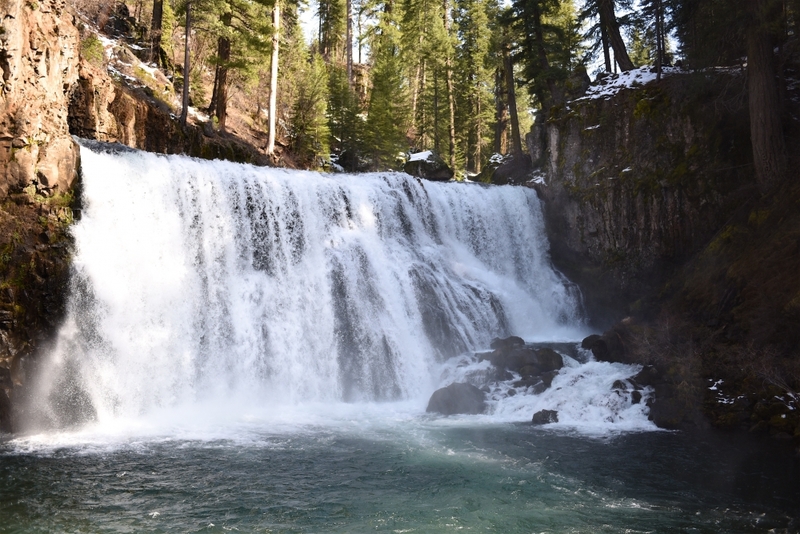 The 129-foot Burney Falls is more magnificent in person than in the photos, and it flows from underground springs at a rate of 100 million gallons per day - ALL YEAR LONG. The hike down to the falls is short and easy with a paved path. 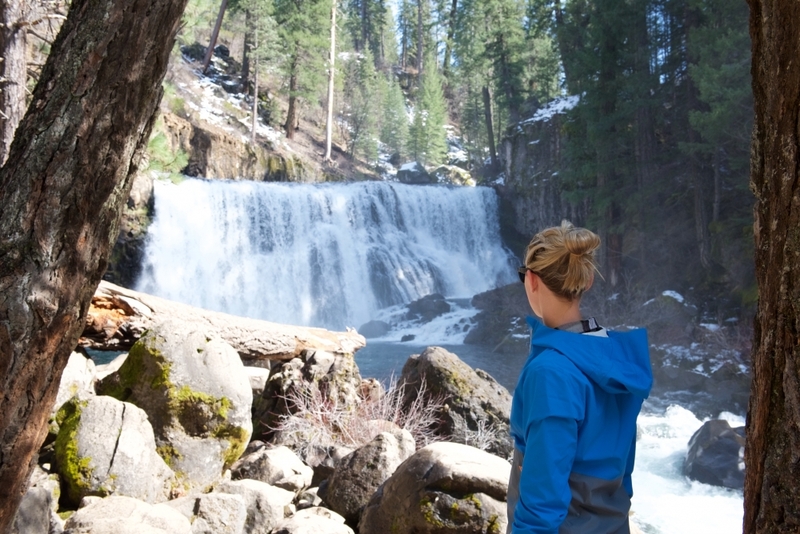 If you wish to hike around the falls, there is a 1.5-mile loop that takes you on part of the famed Pacific Crest Trail and up to the top of the falls across the creek. 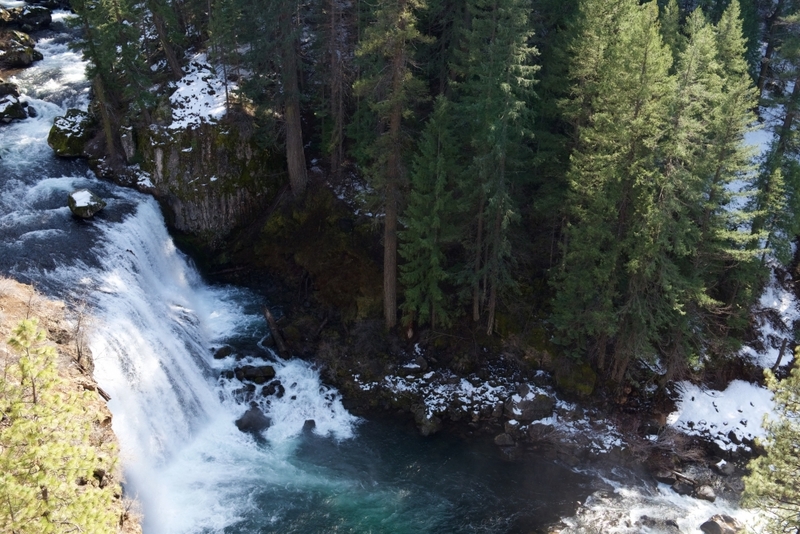 The final stop is the McCloud River Falls. 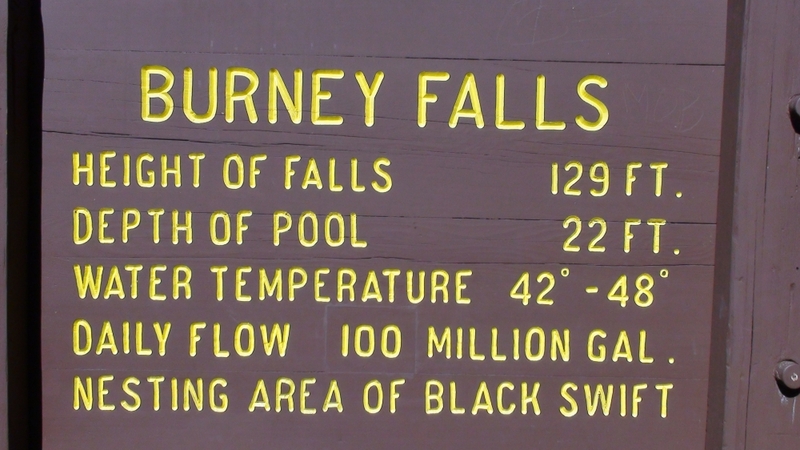 To get there, continue on HWY-89 for about 30 minutes until you see the signs for the falls. There are several access points, and if someone wanted to opt out of the hike they could drive to each one. 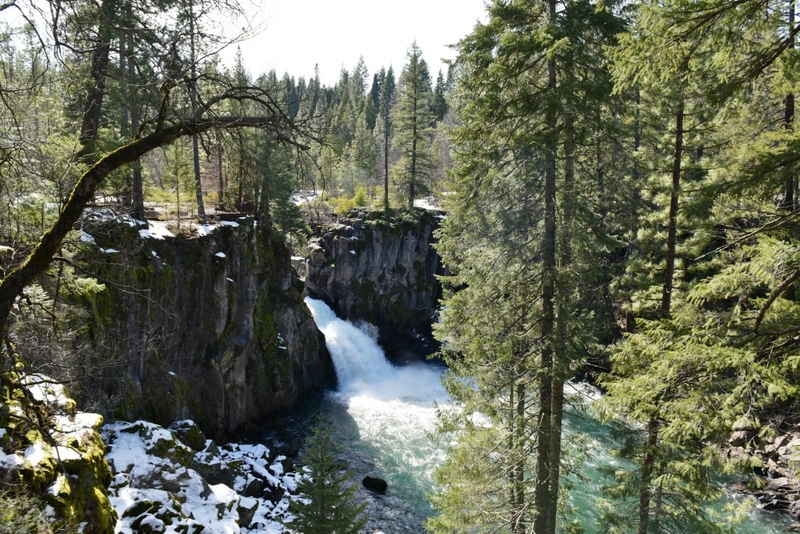 I highly recommend doing the hiking loop as it will take you along the McCloud River and through the forest to each of the three falls - Lower Falls, Middle Falls, and Upper Falls - each unique. 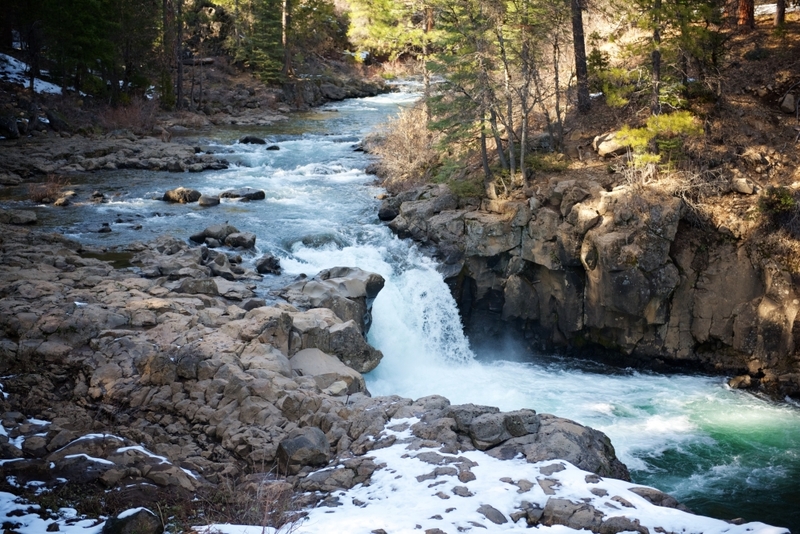 It is only about a 1-mile hike from the Lower Falls to Upper Falls, and is really easy. Before heading home, you are probably going to be really hungry after a full day of adventuring. There is an awesome gem in the town of McCloud called Siskiyou Brew Works, which specializes in pizzas and beer. The atmosphere mixed with the local vibe makes you feel welcome. Indoor and outdoor seating is available so if the weather is nice you can take advantage while you eat. The people are very friendly and the beer is absolutely delicious. Be sure to look them up to make sure they are open before stopping. Once you’ve had your fill, getting back to Redding is a breeze. Continue on HWY 89 till it you can merge on to Interstate-5, and coast all the way back. Crank the tunes, enjoy the spectacular views, and reflect on the perfect day you just experienced in UpState California. Editor's Note: All waterfalls were photographed in early April and there is no more snow around the waterfalls. 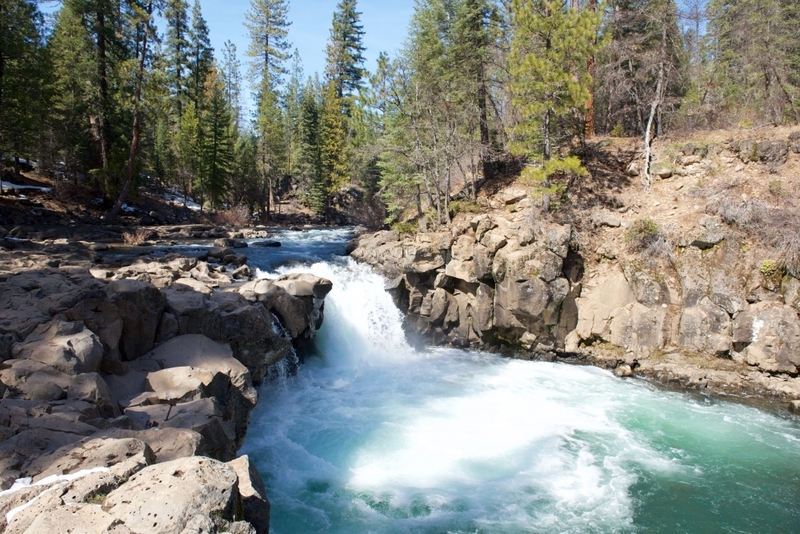 In the summer, the McCloud River Falls and Lion Slide Falls are very popular swimming holes. Follow Visit Redding on Social Media: Facebook, TwitterandInstagram.